From commercial lots to baseball fields, we have all seen (and envied) the look of a beautifully striped lawn. While this classic style was once only attainable for professional mowers and landscapers, the development of user-friendly attachments such as the Spartan Striping Kit makes striping your lawn easier than ever! The variation in lawn color commonly called “striping” is the result of light reflecting off of bent grass blades. For example, grass that is bent toward you looks darker due to the underlying shadows, while grass bent away from you will appear lighter. Alternating the direction you mow uses these subtle differences to create the “stripes” across your lawn. The intensity of your design can be affected by a number of factors, including climate, tools, and grass length. Cooler, northern climates are ideal for striping. If you live in a warmer climate, you may notice your grass is more brittle and may resist bending. But don’t worry! There are multiple other ways you can intensify your striping pattern. 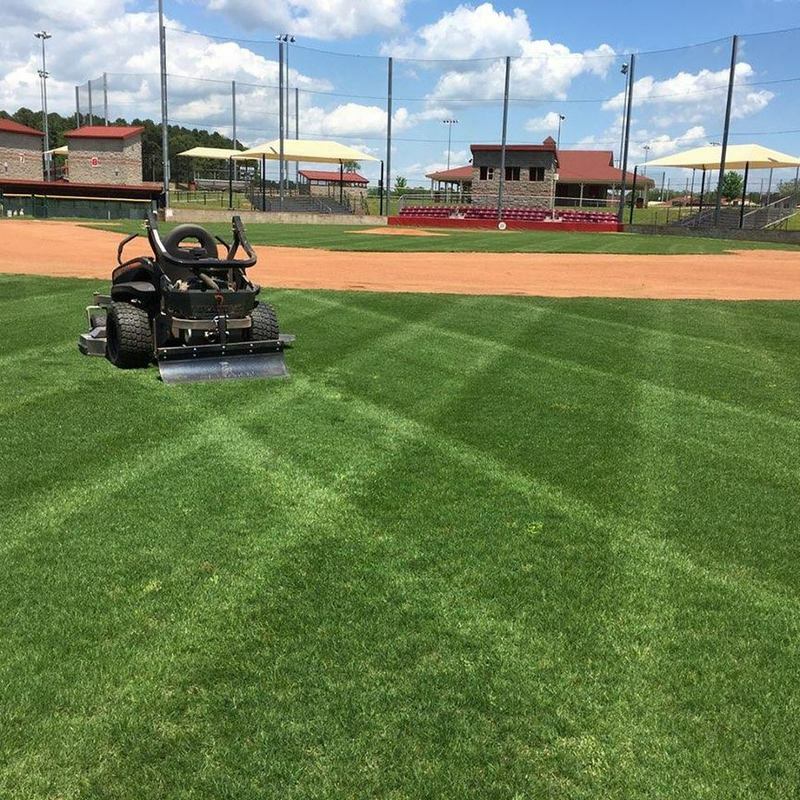 Alternating directions as you mow will create the basis for your striping design. 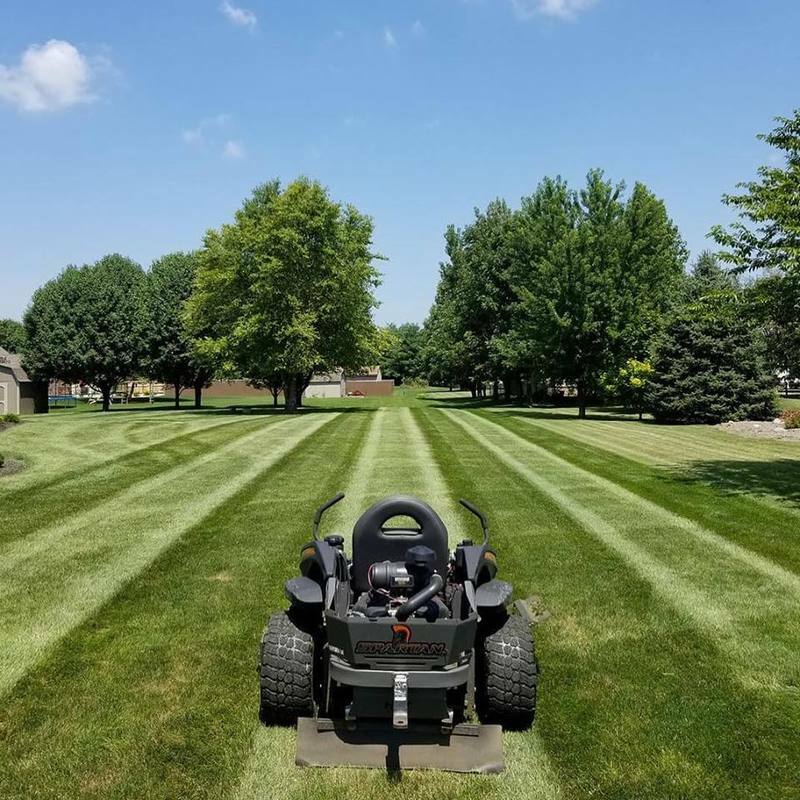 To make these stripes appear bolder, simply add a striping attachment to your mower. The Spartan Striping kit applies consistent contact to bend individual grass blades and create clean, well-defined patterns. The last thing you will want to consider is the grass length. Leaving your grass just a half inch longer can drastically improve the intensity of your stripes. And with Spartan Mowers, it’s easy to dial in the height that you want with our foot-assist easy lift deck. Each of these factors can help elevate your lawn design, however, the overall impact will rely heavily on how well you execute the initially mowed stripes. Now, this is the fun part! When it comes to choosing the right pattern, your possibilities are endless. Some of the most popular choices include basic stripes, the checkerboard, diamonds, and zig-zags. To get started, try sketching out a few different design options to see what works best for your space, and be sure to note any potential obstacles, such as trees. The basic stripe pattern will be the foundational technique for all other design options, so beginners may want to focus on mastering this skill before tackling some of the more complex patterns. The key to creating a beautifully striped lawn is precise execution. Once you have a plan in place, begin mowing in careful lines up and down your lawn. We suggest starting parallel to a fixed, straight marker, like the sidewalk, to keep your lines as straight as possible. As you mow, look about ten feet ahead of you. This will help you stay focused on the bigger picture and keep your lines consistent. Additionally, you will want to minimize turn marks as you transition from one stripe to the next. 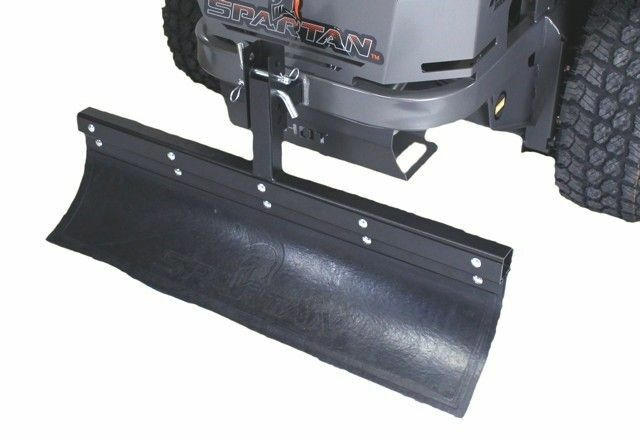 Upgrading to a SPARTAN ELECTRIC ACTUATING DECK LIFT will allow you to easily lift the deck during turns. When you do encounter obstacles in the center of your yard, simply go around them as usual and use your next stripe to erase the curved movement. Once your lawn is completed, make a final lap around the perimeter to eliminate any minor irregularities or lines created by turning points. Using your Spartan Striping Kit to create a beautifully crafted lawn is just one of the many ways your Spartan ZTR Mower can help give you a commercial quality lawn at a residential price. Your Spartan Mower’s increased maneuverability and user-friendly deck lift will help you create clean, straight lines in half the time! Ready to turn your lawn into a landscapers dream? Get your Spartan Striping Kit by clicking HERE. Looking to upgrade your mower for a faster, more comfortable ride that gives you the maneuverability needed for professional grade lawn care? Find your local Spartan Dealer by clicking on DEALER LOCATOR.